The seller waging war on their rival, the retail shark moving in for the kill in Australia and the angry sellers sending half-baked escalation emails. This post is by Chris McCabe, a former Investigation Specialist for Amazon’s Seller Performance team and founder of ecommerceChris.com. ecommerceChris shows Amazon sellers how to keep their accounts healthy, or, if the worst should happen, how to get their account back from a suspension. The majority of Amazon sellers will tell you that selling on marketplaces is a cutthroat world, but one seller has taken this to heart. 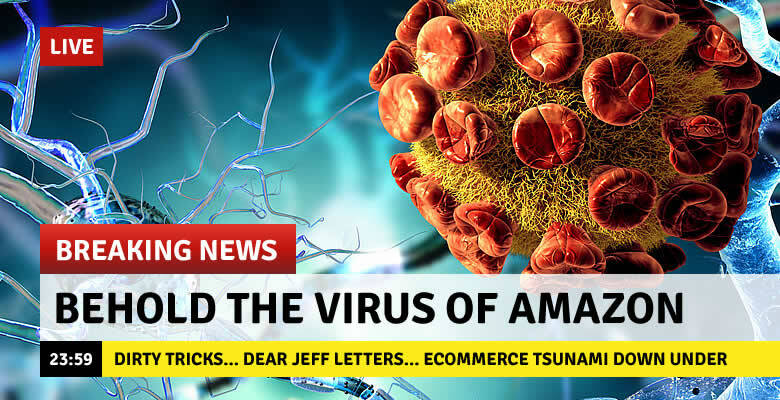 This self-proclaimed “virus of Amazon” has almost driven the seller of a number one product out of business. Change is afoot in Australia, as some sellers have reportedly been involved in initial testing for Amazon’s latest expansion. While consumers are jumping for joy at the prospect of lower prices and wider selection, existing retailers are worried about the impact that the retail giant’s arrival could have. In the world of suspensions, sellers are firing escalation emails off to Jeff Bezos and the Executive Seller Relations team too quickly, without solid a Plan of Action. The end result? A deeper hole to get themselves out of. Meanwhile, the sales tax saga rages on, as South Carolina take legal action against Amazon directly, while other states continue to send audit letters to third-party marketplace sellers. 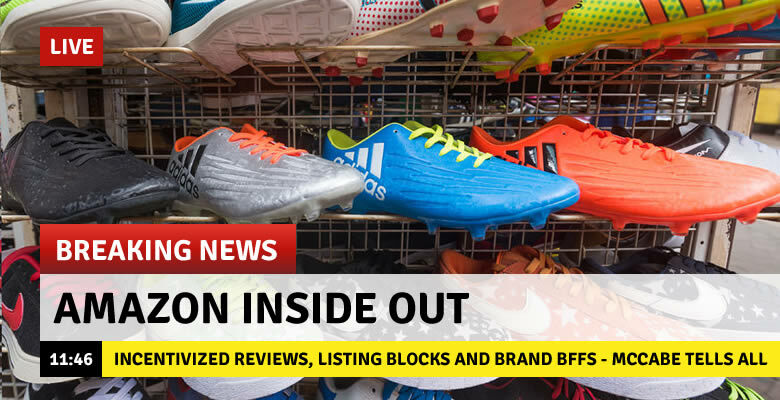 Review manipulation never really went away, listing blocks can be hard or soft, and Amazon is getting to be BFFs with brands. Whatever next? The ban on incentivized reviews is over a year old, but the old adage on prohibition has held true: the practice hasn’t disappeared, it has just gone underground. Amazon’s relationship with big brands has long been rocky, due to aggressive pricing and rampant fakes. But the times they are a changin’ as Amazon strikes a friendly deal with Nike. Who will be next? HQ2 continues to make headlines, but while officials desperately bid for Amazon’s attention, are they leaving local small businesses out in the cold? Meanwhile, “soft” listing blocks are common but not well understood. Do sellers ever need to do more than just edit and relist? Amazon has whipped officials across America into a frenzy as it invited invitations from cities wishing to be the home of Amazon’s new second HQ. How much will local officials hurt themselves to make long-shot bids? The MTC has extended the deadline of their sales tax amnesty until November 1st, and the number of sellers being suspended for making bogus IP complaints is on the rise. What do both of these developments mean for sellers? Meanwhile, over in Australia, the anticipation for Amazon’s new marketplace is building, as more than 500 Australian businesses have now signed up to sell on the marketplace when it launches next year. 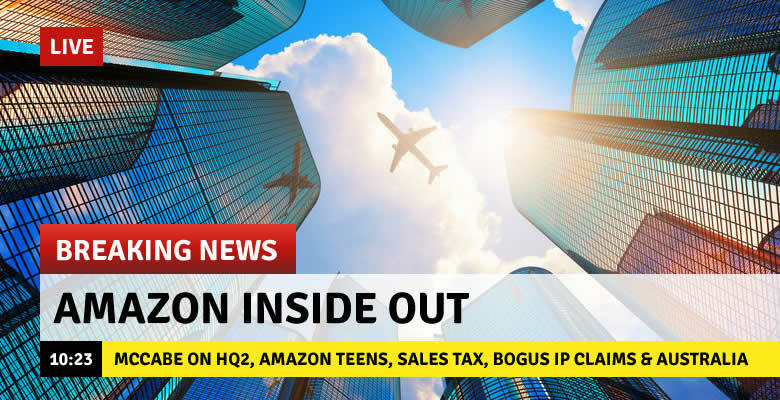 And, will we be seeing an increase of teenagers shopping on Amazon, as they launch their new Amazon Teens service? 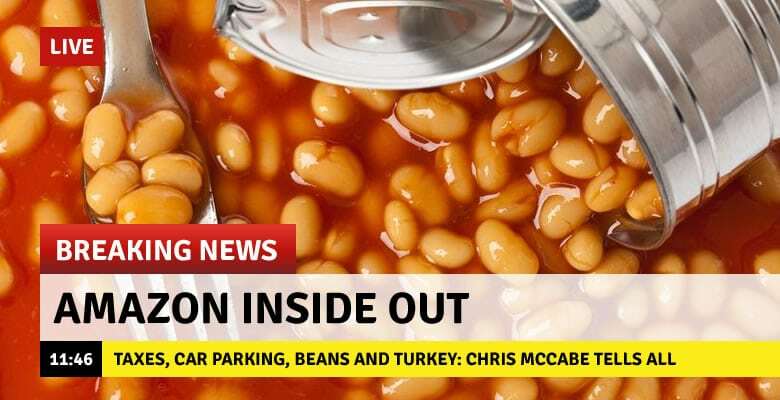 Chris McCabe casts a critical eye over Amazon stories that have been making the news recently, from the price of beans to an international tax controversy. Amazon’s owes $294 million in taxes, says the EU, due to an improper deal with Luxembourg. Will the many U.S. states and cities vying for Amazon’s second headquarters offer similar deals? Meanwhile, the MTC is holding an emergency meeting to discuss extending the deadline for the online sellers sales tax amnesty. Anyone can dial in. The Whole Foods obsession extends to counting the number of cars in their parking lots, using satellite imagery. Amazon elbows its way into last-mile delivery, causing UPS and FedEx shares to slump. But there’s still one area where Amazon has failed to make a serious impact: entertainment.